KANSAS CITY, Mo. 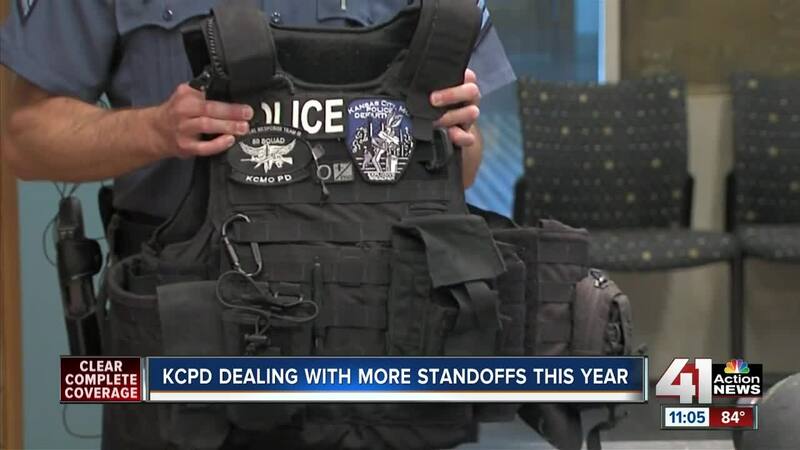 — On Thursday, Kansas City police shared what tactical equipment they use during a standoff, also known as an Operation 100. “We try to resolve every one of our standoffs Operations 100s with peaceful negotiations. We will take as long as possible, as needed, in order to resolve those in a peaceful manner,” KCPD Sgt. Jake Becchina said. Some of the items and equipment they have are gas masks, bullet resistant helmets, tasers, vests, bean bags. Some teams have even more gear, depending on the situation. “An entry team will carry a shield when someone may be down or trapped — also used as protection if someone were to fire shots,” Becchina said. The tactical response team has two vehicles for standoff situations. They're known as the Bear and Bearcat. These vehicles are equipped to provide an added layer of protection, and also store all the equipment they have with them. 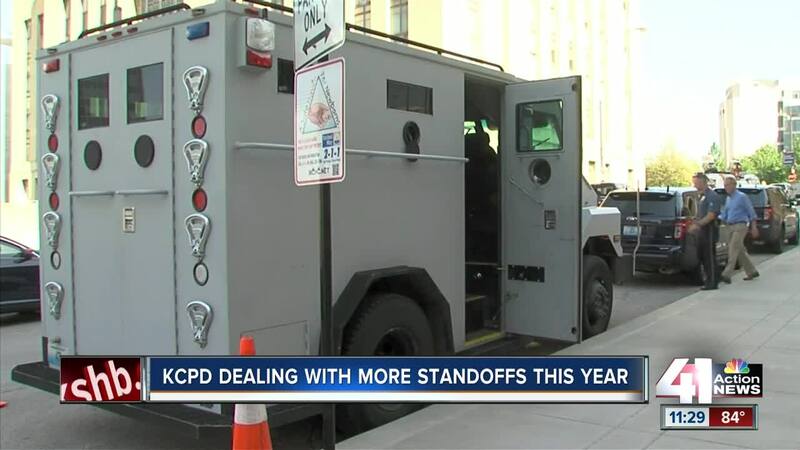 According to KCPD, there have been 35 standoffs this year, which is more than usual.